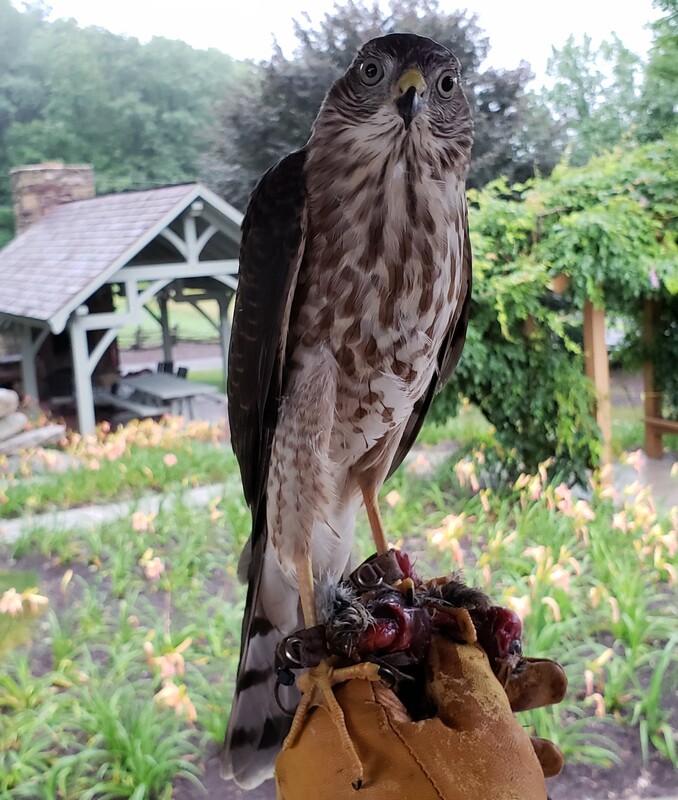 Being the smallest accipiter native to North America, the sharp-shinned hawk is still indeed a capable falconry bird to be flown on small birds. The sharpie, as they are more commonly called in falconry, is similar in plumage to the coopers hawk but smaller less robust. It is not uncommon for people to mis-identify a male coopers as a female sharp-shin or vice versa. One of the easier ways to help distinguish the species is the brow line. A sharp-shin carries a more rounded head shape while the coopers hawk often have a more pronounced brow line. The sharpies also have notably thinner legs proportionately, and as such due diligence must be taken as to not damage them. Their tails are fairly long compared to other accipiter’s in relation to body size with a square tip with no white terminal band. They are flown on similar quarry as to their companion in size from the long wing family, the merlin, such as sparrows and starling. A sharp-shin will often fly around 100g for a male and 170g for a female. Traditionally flown from the fist like their bigger acciptrine cousins, they are adept at short pursuit chases. This is a large difference in style compared to the merlin. The most common hunting tactic is to walk brushy fields with the hawk on the glove looking for the small bird to flush. The sharpie will often pursue into cover. To those who have ample locations containing small birds, a sharpie can open a new realm in your falconry. 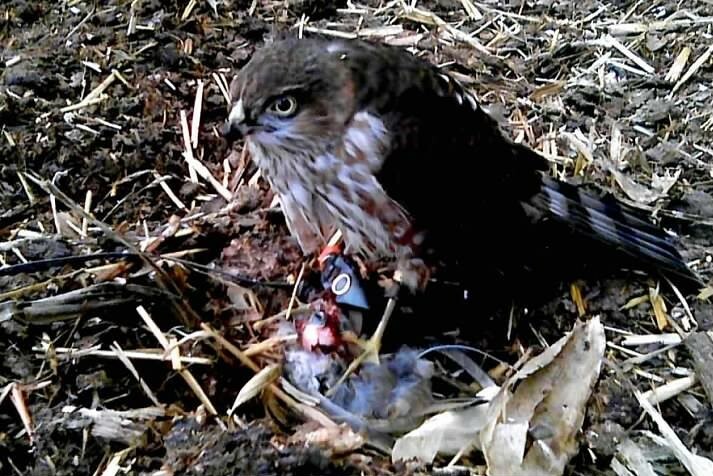 The ability to turn simple fields often void of game for a dirt hawker into a falconry field is a fun way to turn non-traditional locations into superb falconry. What used to be a oddly placed brush-line between industrial complex buildings can now be countless slips for your hunting hawk. To the left is “Spanky” the first Sharpie out of Rick Sliker’s breeding project flown by Richard Hiester.